Fall is the optimal time to prepare your home for the coming winter. Here are four things that you should have on your home maintenance checklist for fall. As the cooler autumn winds begin to roll through, you might begin to notice a draft blowing in from under your door or from your windows. Once winter arrives, these poorly sealed areas will not only let frigid air enter your home, they will also allow warm air to escape. Weatherizing your doors and windows should be at the top of your home maintenance checklist for fall. Weather stripping should be applied to the sides of your outside doors and to the bottom edge. Weather stripping can also be added to the sides of your windows to prevent drafts from blowing into your home through openings in the fixtures of your window frame. Many families will also install plastic window insulation film over their windows as an extra layer of protection against drafts. During the summer and the fall, your roof will weather many types of debris including branches, leaves, and tree nuts. This debris will roll down your roof and collect in your gutter where until removed. When you create your home maintenance checklist for fall, cleaning your gutters should be at the top of your list. If you don’t clean out your gutters during fall, it’ll be too dangerous to clean them during the icy winter months. You’ll want your gutters clear during winter to prevent debris from becoming wet with melted snow, freezing into a chunk of ice, and putting extra weight on your gutters. This can lead to your gutters detaching and being ripped from your roof, which is expensive to repair. Fall is the time of year when gardens begin to die, grass growth slows to a crawl, and bushes and trees will shed their leaves. There is no practical reason to leave your garden hose hooked up to the water spigot on the outside of your home. Readying your outdoor water spigots for winter is the next item that should be on your home maintenance checklist for fall. 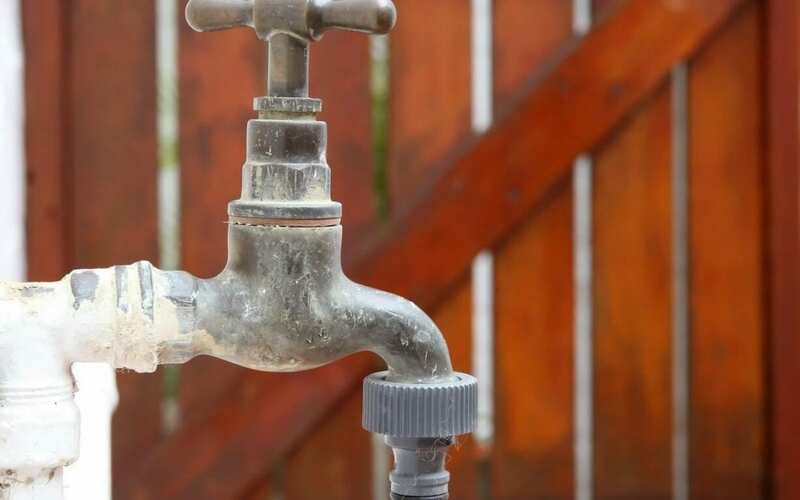 Make sure that each water spigot is closed tightly to prevent leaks. Disconnect all hoses from the spigots and store them safely in your basement or in your garage. Be sure to hang them up to allow them to drain before storing them. Once the cold winter weather arrives, all manner of pests, from wood-destroying insects to rodents, will be looking for a warm shelter. They tend to choose homes for this purpose or buildings on your property. Get ahead of a potential pest infestation by taking the time to seal up cracks and holes in your foundation and walls. InspectorUSA serves Central Kentucky with home inspection services and pest inspections. Contact us to schedule your appointment.